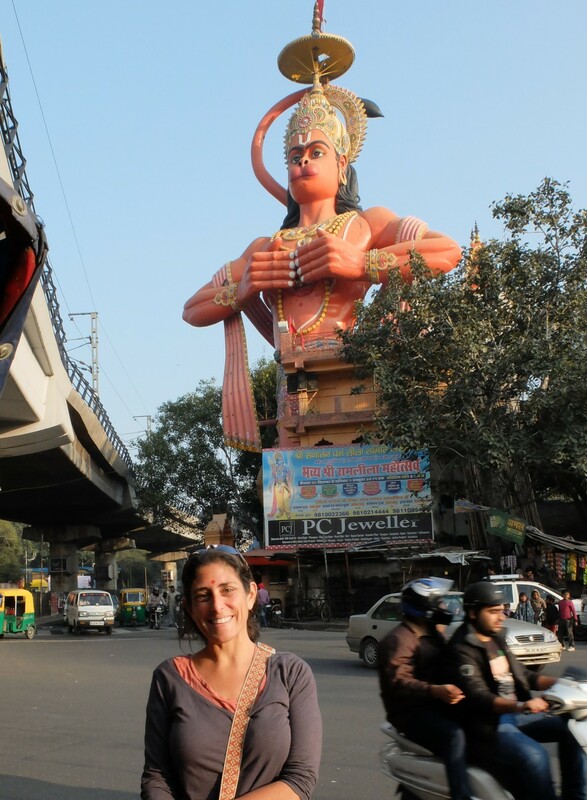 This is me, standing across the street from my favourite Delhi landmark, the 108′ Hanuman statue and temple that stands in a busy intersection between the Jhandewalan metro station and Karol Bagh. On Hanuman’s day (Tuesday), the hands shift open to reveal Sita and Ram within his heart. Click Here for a peek inside. So welcome to my first attempt at a travel blog, replete with ramblings about a first trip to India, as well as many additions since I’ve been back, musings on travelling closer to home, current events and life as it unfurls. More than any other place I’ve been, I feel tight ties to India. Even though the thick jet lag fog has long since abated, there is that lucid dream-like manner in which India has gotten under my skin. I’m ready to get back on a flight East as soon as the fates allow.